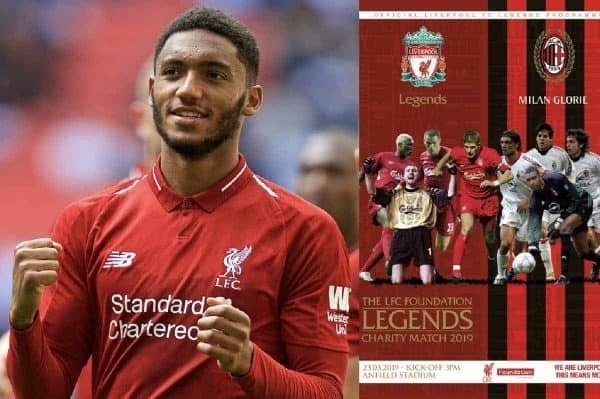 Joe Gomez is expected to return to action for Liverpool after the international break, and Sami Hyypia believes his comeback could be central to success. Liverpool Legends—and Salif Diao—take on AC Milan Glorie at Anfield this weekend to raise funds for the LFC Foundation and having seen the prequels in Istanbul and Athens it promises to be a cracking afternoon. Quite whether Cafu and Paolo Maldini are still as good as Glen Johnson and Bjorn Tore Kvarme these days remains to be seen, but the thought of Steven Gerrard going head-to-head with Andrea Pirlo for perhaps the final ever time is the star attraction for me. However, with no Didi Hamann to keep Kaka in check I fear a Milan victory, unless the rumour that Dida will play up front is true…although that would be a better option than Mario Balotelli. 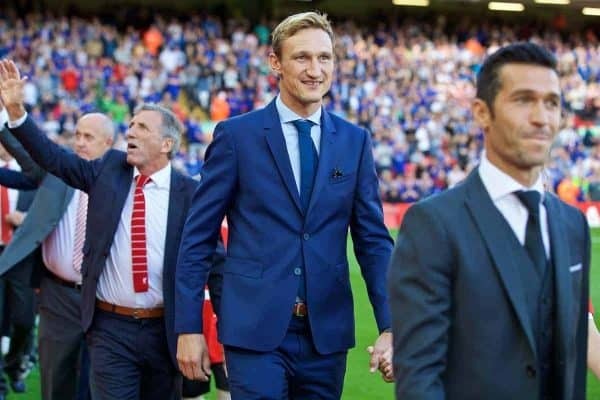 Sami Hyypia is one man who is guaranteed to hear Kopites sing his name and I was lucky enough to interview the giant Finn for the official Legends matchday programme, which also features an exclusive Q&A with that man Maldini, who can’t wait to ‘breathe’ the Anfield atmosphere. As part of my chat with Sami I also did a piece with him for Liverpool’s game against Burnley, a club with a manager who has got a voice like a country mansion driveway. Sean Dyche sees nothing wrong with breaking an opponent’s leg or scoring directly from a corner while his centre-half has the goalkeeper in a half nelson, but regularly calls out other clubs for cheating if any decision goes against him. Can you imagine if Liverpool had scored the same opening goal against Burnley? His post-match interview complaints would’ve gone on so long that’d they have started on Match of the Day 2 and finished on Victoria Derbyshire. Anyhow, the subject of Joe Gomez, who had his leg broken by ex-Man City defender Ben Mee at Turf Moor in December, was one I broached with Sami. “Joe Gomez can be the leading centre-back in England for a long time. He is still young and he can still learn. With experience he will learn, but he has everything. “I know Virgil van Dijk is not the oldest guy, but Gomez is like a young Virgil. He has the same qualities—he’s so quick and so strong in his challenges and he can play football as well. “I’m not there for the whole time so I can’t comment on how good he is at communicating on the field, but if he keeps learning that side of things it will help his game, the guy next to him and the whole team. As far as I’m concerned Sami Hyypia knows what is needed to be a top centre-back, so if he thinks Gomez—at the age of 21—already has some of the same characteristics as Van Dijk and can be “the leading centre-back in England for a long time” then I’m not going to disagree. In fact it’s quite a statement and one that reminded me just how much Gomez has been missed over the last three months. 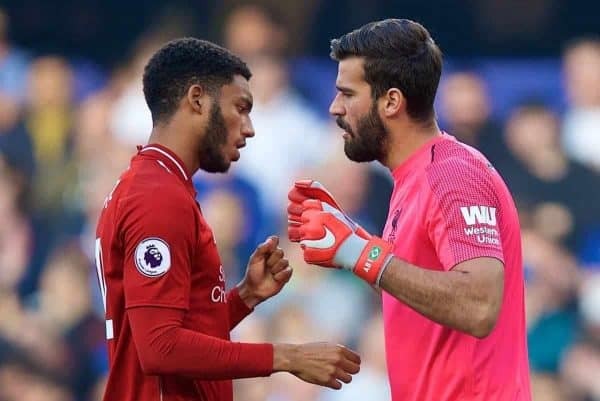 In the 13 Premier League games Gomez has started in 2018/19, Liverpool have only conceded four goals (Burnley scored after he went off) and one of them was down to Alisson getting tackled at Leicester. The Reds won 10 and drew three of those games. In the 16 Premier League games we have played since Gomez had his leg broken, Liverpool have conceded 12 goals. The Reds won 11, drew four and lost one of those games. 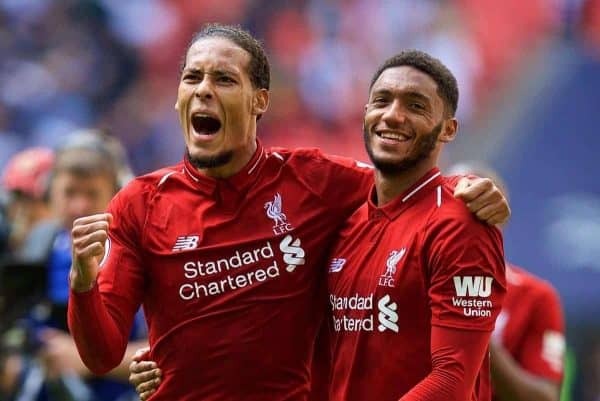 Attributing better or worse results simply because of one player is tricky, but my view is that Liverpool are less likely to concede goals with Gomez operating at centre-back alongside Van Dijk than they are when either Joel Matip and Dejan Lovren are playing. That’s not to criticise either—Matip has turned in some brilliant displays in big games—but Liverpool’s defensive resilience at the start of this season was built upon a triangle of Alisson, Van Dijk and Gomez. Let’s not beat around the clump of shrubs with stems of moderate length here, Liverpool could be on the verge of a tumultuous two months. 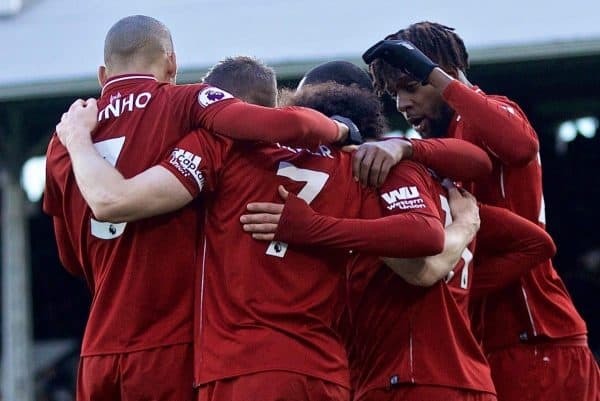 We’re top of the Premier League with seven games to play and are red-hot favourites to beat Porto and reach another Champions League semi-final. But with a rather hectic schedule to follow the quality of Jurgen Klopp‘s squad will be tested. Quite simply, we need our best players fit and available. Gomez missed most of the last two months of last season—and the World Cup—through injury but if Klopp’s assessment six weeks ago that Gomez will be back in action in four-to-six weeks proves accurate, he’ll be fit and in contention for next weekend’s Anfield clash with Spurs. And that would be a significant boost that many assessing Liverpool’s chances of success have overlooked. You can order the Liverpool Legends vs. Milan Glorie programme here.